I've languished in sorrow for days now over the loss of our dog, but the mail man brought something today that finally gave me some incentive to blog again! Let me just say that your comments and eMails have been absolutely touching, and we appreciate each and every one of them. Thank you. Coastal Scents recently launched a new nail polish line, which I noticed last week when I was looking for a palette...more on the palette below, because now I want all of their Go Palettes! 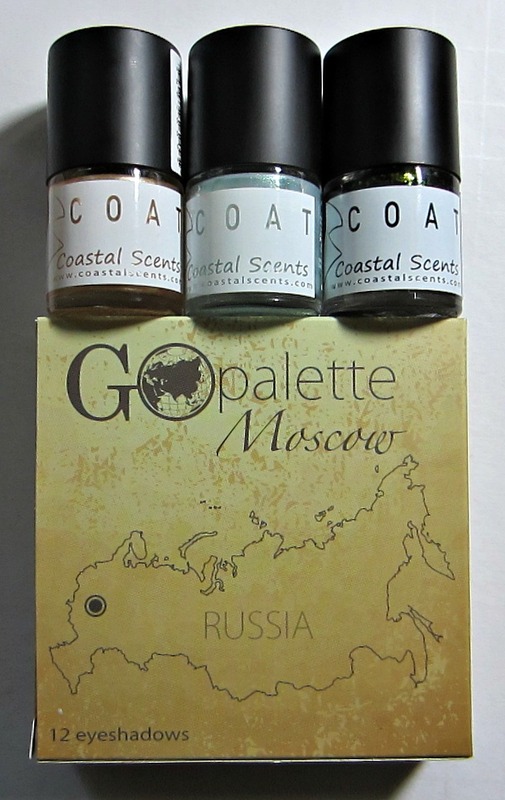 I ordered three of their polishes along with the Moscow Go Palette on Saturday, and they arrived from Florida to Michigan today. I have a few Coastal Scents products that I've gotten in swaps, but this was my first time ordering from them. I'm completely impressed with their service and their products, not to mention their reasonable pricing. Cosmic is the only flakie in their line, but I'm just happy they offered even one flakie. Hopefully, this is a sign of things to come from them and we'll see more offered in the future. This is a black based creme with iridescent flakies. 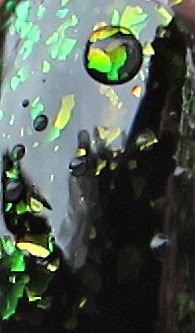 Green is the prominent flakie color, and there is also quite a bit of coppery red and gold, which shows up nicely in real life, and not so nicely in my photos. The first coat was fairly thin, but a second coat was all it took for a complete look. It has a smooth finish and I did use a top coat over it. It is raining out, so excuse the occasional rain drop! The bottles are relatively small at 0.2 fl. oz., and they retail for $3.95 each. If you do the math though, that price is really not out of line in today's market. I am not a fan of the packaging for a couple of reasons...round bottles are hard to hold for photographing! The main thing I don't like about the packaging, is that the cap is large for my hand to maneuver, and the stem is very short. The cap is so large and so close to the brush, that it casts a bit of a shadow over my nails, so I had a little trouble getting a clear view of what I was doing. 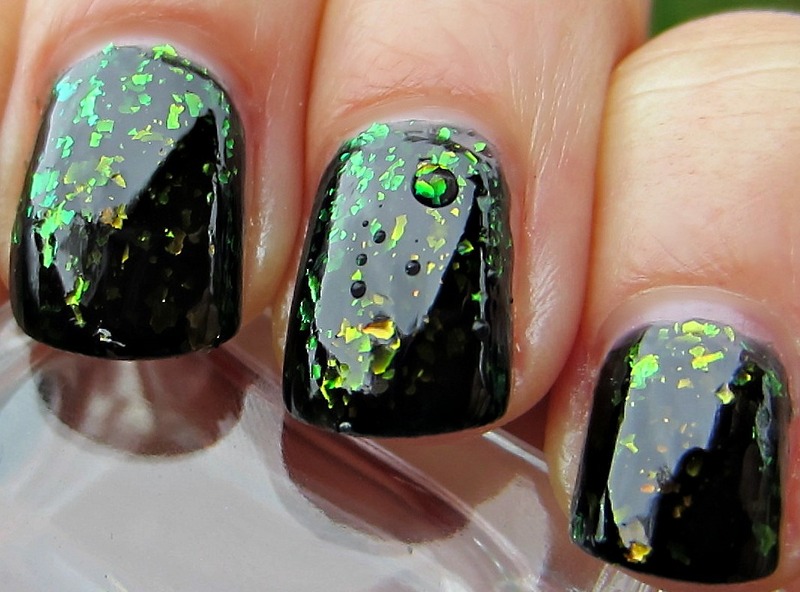 This isn't a deal breaker for me, because I adore this polish. It's just a thought I wanted to make mention of. This photo gives you a look at how short the stem is, and how the cap is somewhat overpowering. Here's my little haul! I also chose Solar, which looked like a pearly white infused with gold on the web site. In real life, it appears to be more of a pale gold, but I haven't swatched it yet. My other nail polish choice was Tweedia, a very pale aqua shimmer. 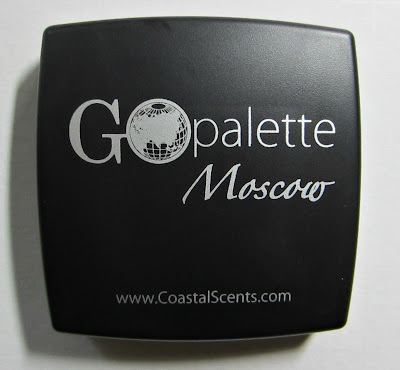 I've been lusting over the Go Palettes, and rather than order a bunch of them sight unseen, I opted to get the Moscow palette to see how well I would like them first. Well, I love them! Do I see more of these in my future? Yes!!! 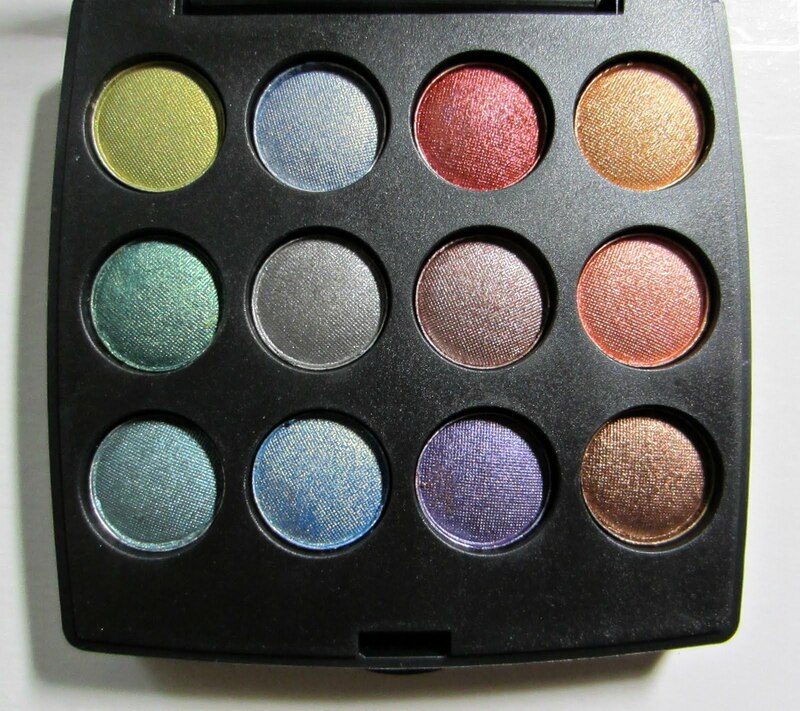 These are very well made, and they include 12 shades. The palette measures 3"x3" and each shadow is about the size of a dime. The mirrored case is quite heavy, and it comes in a box. The best part is that they're only $8.95 each. I'm very happy with my first Coastal Scents order! 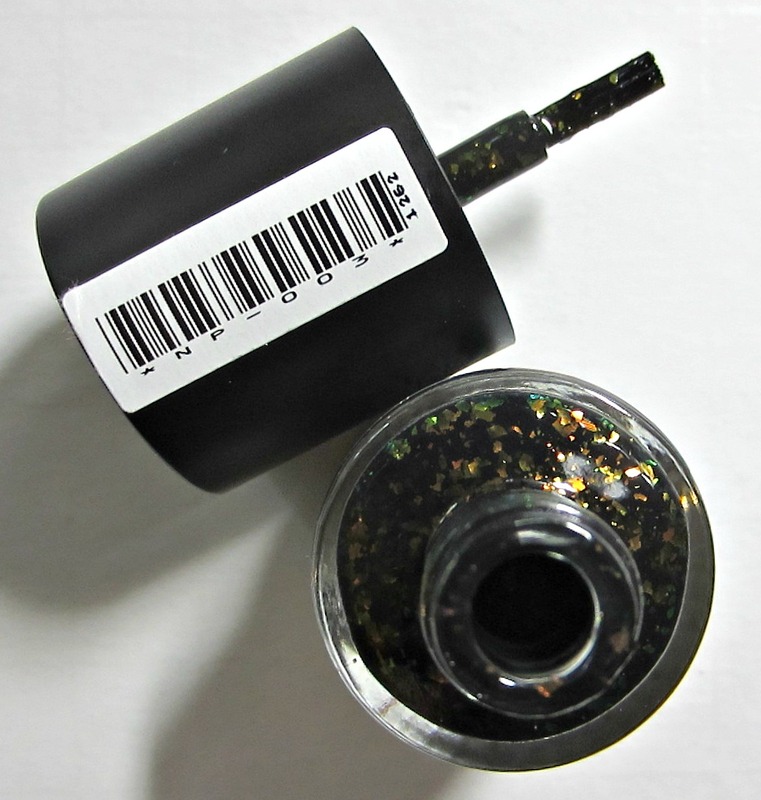 The quality of the products seems to be very good, they do not test on animals, and their customer service/shipping is excellent. The bad news is that I now want to place another order! 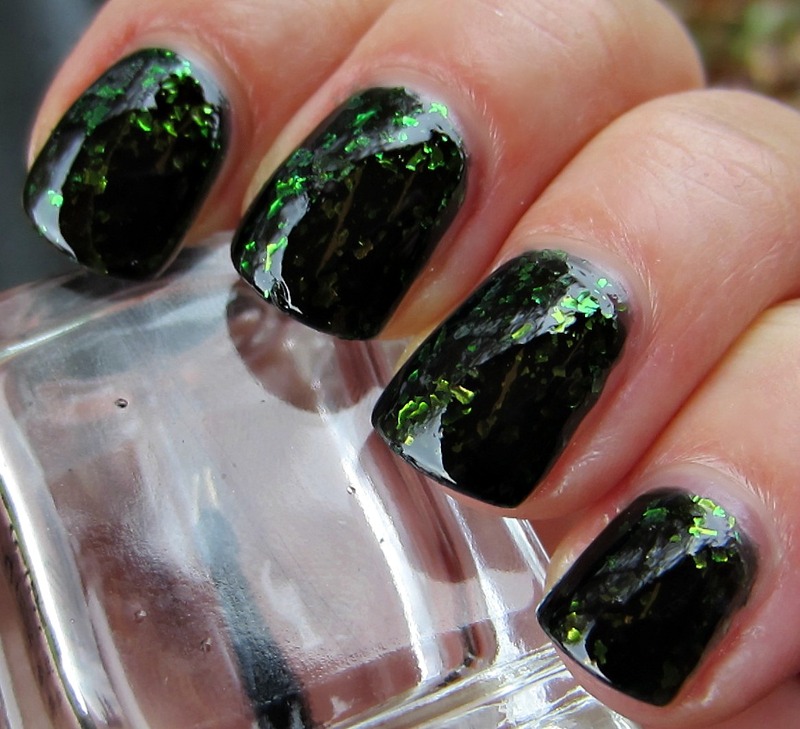 Really pretty polish. The bottle and the brush dilemma is interesting though, I don't think I've ever seen a normal sized bottle with a stem so short! 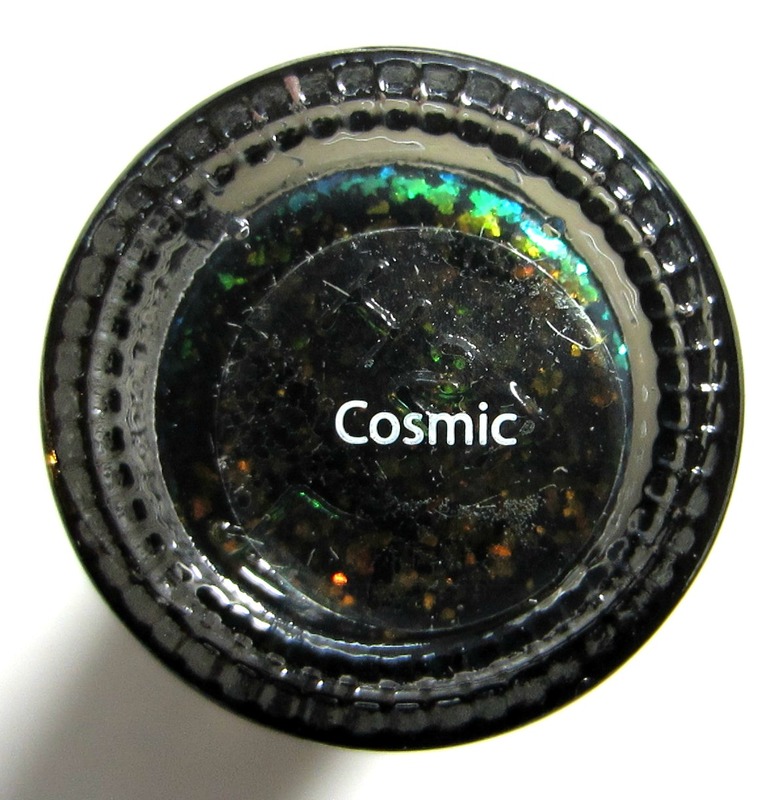 I can't wait for my bottle of cosmic to come now! 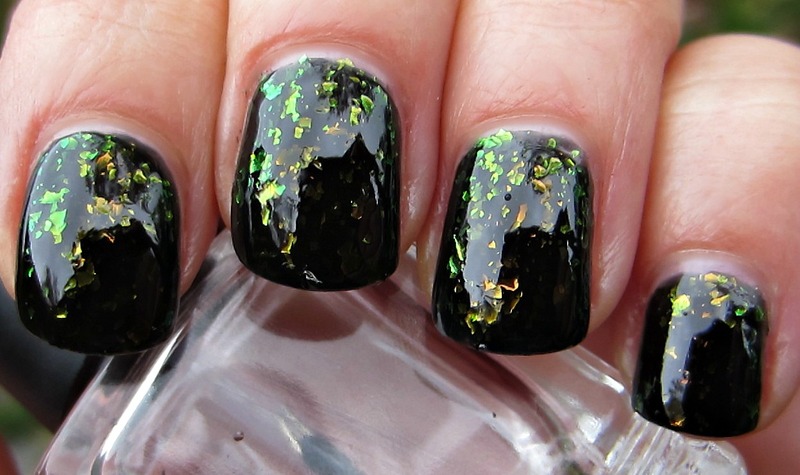 I love flakes, and this one is really interesting, with that black base! Bottle/cap/brush proportions are quite weird, I prefer slimmer caps, too! Hope your feeling a bit better. The polish is amazing but the brush isn't! I was surprised to see CS offering polishes and I've been looking for Cosmic swatches ever since I found out about it! Looks great! Thanks for the pics!